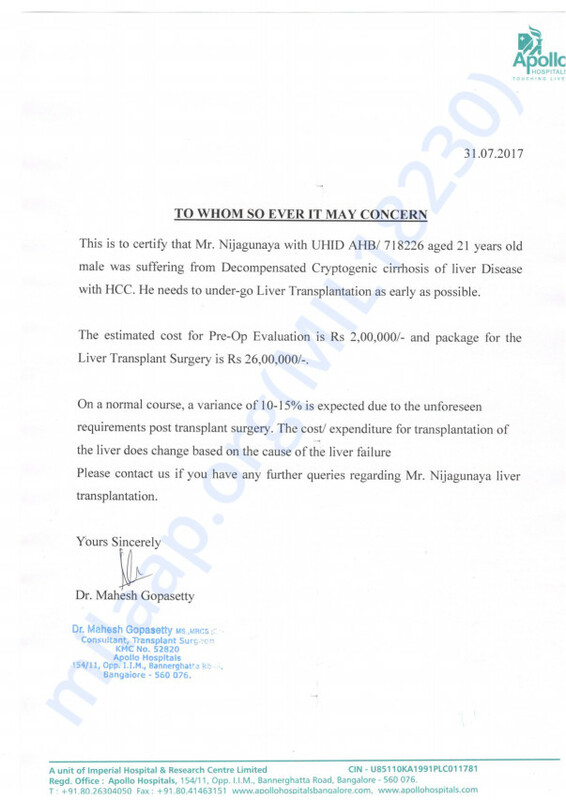 21-year-old Nijagunaya is in need of funds to undergo a liver transplantation. He suffers from Decompensated Cryptogenic cirrhosis of liver Disease and a liver transplant is the only cure for this menacing disease. Nijagunaya has been suffering from Abdominal distention, constipation, and swelling in lower limbs. It was in the year 2012 that Nijagunaya started complaining of severe stomach pain. His family took him to a local hospital. Initially, he was given some painkillers and sent back home. But Nijagunaya's continued getting worse. 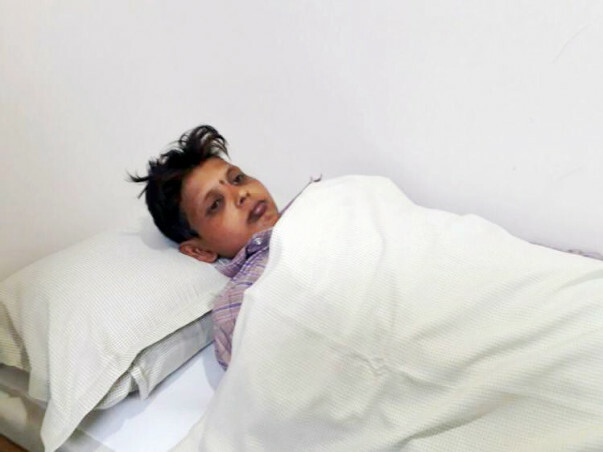 His brother Anand took him to a different hospital where doctors said he has jaundice.The parents were not worried much thinking it's simple jaundice. Things got serious when he started having problems relieving himself. His stomach was swollen and started having problems doing daily activities like sitting and sleeping. His brother took him to Bangalore, a test report from the hospital shattered him. Nijagunaya was suffering from an irreversible liver disease. With your contribution, Nijagunaya can survive cirrhosis of the liver. Only you can help him come out of this pain and discomfort that has become a part of his daily life. He needs your help to undergo end his pain. Thank you for the wonderful support that you have shown towards Nijagunaya. I have some unfortunate news to share with you today. He underwent the liver transplant and his mother donated a part of her liver to him. He developed a lot of complications and infection post the transplant. He developed pneumonia and was having a lot of difficulty breathing. In spite the doctors best efforts his breathing did not stabilise and he left all of us on 13th April. His family is completely devastated and your timely support ensured that he received the best treatment possible. All the funds raised via this campaign have been used towards his medical expenses. Thank you all once again. Please do pray for his soul to rest in peace. Will keep you posted on his health.